Artistic Staff - Anderson Young Ballet Theatre, Inc.
Lou Ann earned her B.A. at Butler University and has extended training at the National Ballet School in Toronto, Canada. She was a faculty member at Ball State University from 1987 to 2013. She was on the faculty of the IU Summer Music School and a master teacher of ballet at the Academy and seminars throughout the Midwest. Her credits include Artistic Director, Founder and choreographer of Anderson Young Ballet Theatre until her passing in 2017, Artistic Director of Ball State Dance Theatre; Anderson University musicals; Highland High School, professional dancer, and Ball State Summer Theatre. Trained in Cecchetti and Russian techniques, she was a student of Margaret Saul's for twenty-five years and is dedicated to Saul’s teachings and principles. 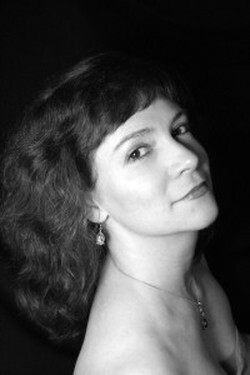 Lou Ann was the recipient of the 1998 Deans Teaching Award from the College of Fine Arts Ball State. She was nominated to WHO'S WHO Among America's Teachers in 2000, 2005 and 2006. Lou Ann served as president of the Regional Dance America Mid-states Region and was one of the directors-at-large on the RDA national board. She is also a member of Ballet Corps Internationale and promotes dance with the American College Dance Festival. Lou Ann Young passed away on August 2, 2017. We are so very thankful for the many lessons she taught us on and off the stage, and we, the Board of Directors and Staff of the Academy, continue her legacy, and strive to be as STRONG, DISCIPLINED, GENUINE, and as TALENTED of a leaders as Lou An Young has been throughout her lifetime. A Lou Ann Young Scholarship Fund has been set up at the Madison County Community Foundation. Jennifer Thiemet was a former principal dancer at AYBT, Inc. with extended studies at National Ballet of Canada where she trained intensely in the Cecchetti syllabus. She has studied with such master teachers as Alexandra Danilova, Margaret Saul, Jurgen Schneider, George Verdak, Gus Girordano and Luigi. She has performed with Walt Disney Productions, Indianapolis Ballet Theatre and was a principal dancer with Lexington Ballet. During her dance career, she performed the leads in ballets such as Nutcracker, Giselle, Sleeping Beauty, Coppelia, Raymonda and Romeo and Juliet. Her musical theater productions include, West Side Story, Sugar, Bye Bye Birdie, The King and I, South Pacific, The Sound of Music and productions with American Cabaret Theatre. She was the winner of the Margaret Sear Rosenblith and Carey Rose Winski scholarship awards and was accepted to Interlochen music camp. Jennifer’s teaching credentials include Anderson Young Ballet Theatre Academy (1995- present), School of Lexington Ballet (1989-1991), School for the Performing Arts of Kentucky (1991-1993), National Academy (1991-1993) and Anderson University (2014-present). Michael has been on the dance faculty at Ball State University since 1992 and on the faculty of Anderson Young Ballet Theatre since 1990. He is an honors graduate in dance from Butler University and a former member of Dance Kaleidoscope. He has also danced professionally in Starlight Musicals, Equity Dinner Theatres, summer stock, NCL cruise lines and for eighteen months with the original Broadway First National Tour of 42nd Street. To date, he has choreographed over 50 musicals. In 1999 he directed/choreographed the full length liturgical ballet LeVoyage in live concert with Sandi Patty. He has had numerous dance concert pieces adjudicated and chosen for performance at Regional Dance America Mid-States Festivals. In both 1994 and 1999, Michael was awarded a Certificate of Merit for Choreography from the Kennedy Center for his work on Ball State’s production of Company. Michael was the recipient of the Ball State University College of Fine Arts Dean’s Teaching Award for 2002. George comes to AYBT, Inc. and Anderson University after spending ten years dancing with Indiana's own, Dance Kaleidoscope. 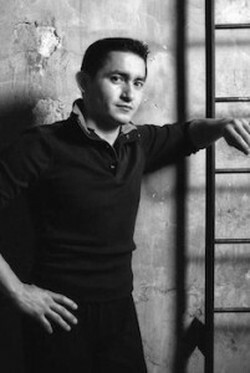 While under the tutelage of the Director David Hochoy for his tenure in the company, George not only performed as a dancer, but was asked to be a choreographer as well. George has been teaching nationally and internationally since 1997, from universities to programs for underprivileged youth. George is a native of Dallas, Texas, where he attended the High School for the Performing and Visual Arts. Later, he received his formal dance training from Denise Vale and Austin Hartel at the University of Oklahoma, where he earned his B.A. in Modern Dance Pedagogy. While at the university, he was a guest dancer with several dance companies throughout the country, and a scholarship student with the American Dance Festival from 2001 through 2003. George has worked with renowned artists and choreographers: Tatiana Baganova, Kevin Brown, Chuck Davis, Bill T. Jones, John Jasperse, Peggy Lyman, Luis Montero, Earl Mosely, Dennis Marshall, and Donald McKayle. He also has danced with Ballet Dallas, Ballet Hispanico, Oklahoma Festival Ballet, Mexico Lindo Dance Company, SD Prism Dance Company, Anita Martinez Ballet Folklorico Company and the Modern Repertory Dance Theatre. Dr. Lallathin grew up in Anderson, where she trained and performed as a company member with Anderson Young Ballet Theatre. She went on to receive a B.A. in Kinesiology from Purdue University with a minor in dance. It was at Purdue University where she was exposed to biomechanics and was inspired to improve the dance world through science. She continued her education in biomechanics, receiving a M.S. in Biomechanics from Ball State University and a Ph.D. from the University of Georgia. She has had the privilege of presenting her research on dancers at several regional conferences as well as the International conference for IADMS (International Association for Dance, Medicine, and Science). Her research interests include technique and performance improvement, injury mechanisms, and motor control.